It was my dream to visit Miyajima because of the sika deers, the tori, the food, the hiking, the aquarium and of course with the cherry blossoms in the background it’s more beautiful ! I spent one & a half day on the island, my time there was great (even if I am alone because I talked to myself ^^) except for the horrible weather the second day (it was pouring hard all day long). After my morning/afternoon at Hiroshima, I took a train to Miyajima-guchi station (just a 40min ride) ➡ put my bacjpack at the youth hostel (I had a good stay ther it’s not on the island but just 50m away from the ferry so very convienient and the people working there are very friendly) ➡ took the ferry and explore the island ! Here’s my first evening there in photos ! C’était mon rêve de visiter Miyajima à cause des cerfs sika (comme à Nara), du Tori, de la nourriture (nombreuses spécialités sur l’île dont les huîtres: pain au curry à l’huître, brochette…), la randonnée dans la montagne, l’aquarium (j’adore les aquariums) et bien sûr avec les cerisiers en fleurs en arrière plan, cette île n’est que plus belle ! Après ma matinée/après-midi à Hiroshima, j’ai pris un train direction Miyajima-Guchi ➡ j’ai déposé mon sac à l‘auberge de jeunesse située sur le port (c’est une super auberge à petit prix, à 50 m du ferry et avec un personnel très accueillant) ➡ j’ai pris le ferry et à moi l’île ! Voilà ma première soirée en images ! Back from the island I had the most amzing/delicious okonomiyaki ever at Miyajima-Guchi ! Yummy ! The day after I woke up early because I wanted to go on the top of Mont Misen; but the weather was against me! I still could visit Itsukushima Shrine (an unforgettable shrine) and the aquarium to wait for the rain to calm down before climbing all the way to the top ! But the rain was still here, whatever I am courageous (my sword is my umbrella) and decided to go on top whatsoever ! The climbing was so good ! I saw beautiful sceneries and the atmosphere was like I was so in a tropical forest ! I loved it ^^ Even if I was soaking wet at the top it was alright… or not until I finnaly reach the roapway but it wasn’t working because of the rain and wind … :o I was trapped on top, with blizzard, totally wet, freezing with no way to go down than my own feet. An english couple came 30 min after me and 40 min later we decided to go together to escape our refuge! Le jour suivant je me suis réveillée tôt pour pouvoir profiter un maximum de l’île et car j’avais en prévision de grimper en haut du Mont Misen; mais le temps n’a pas été coopératif! J’ai quand même pu visiter le temple Itsukushima qui est un endroit magnifique à ne pas manquer. La montée a été un grand moment, j’étais entourée de flore digne de jungle tropicale et les escaliers creusés dans la pierre étaient dingues! Mais malheureusement en arrivant en haut j’étais plus que trempée et mes pieds avaient une piscine personnelle ^^ Et pour se rajouter à mes malheurs le téléphérique ne marchait pas à cause du mauvais temps.. j’allais devoir redescendre à pied après mes 1h30 de montée ..
Après ces péripéties je suis vite retournée à l’auberge pour me réchauffer et me reposer ^^ Mais je peux dire que ma visite à Miyajima restera à jamais un moment épique! Hiroshima was awesome! I loved the shrine on the water and going to the top of the mountain by cable car. 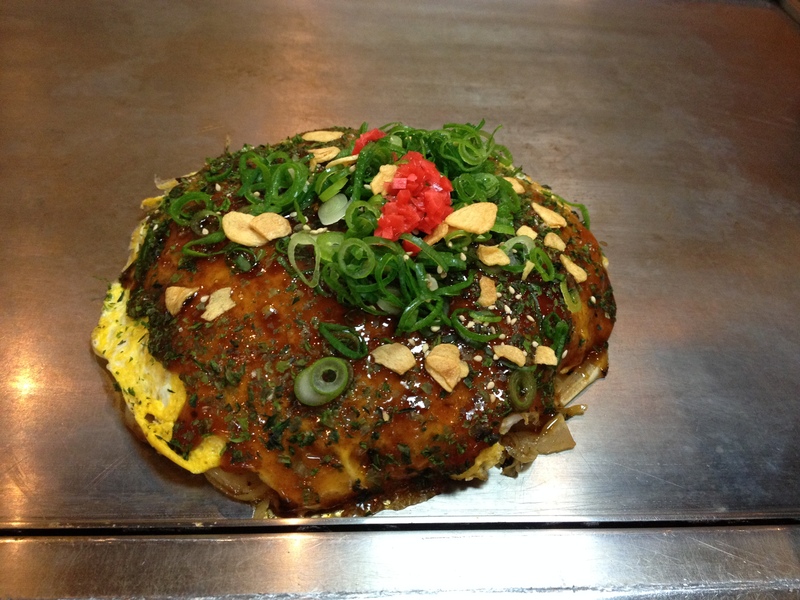 How was the Hiroshima style okonomiyaki? I had a good time at Hiroshima and the best okonomiyaki ever (it’s my reference for the ones I tried after and so far it’s still my number one !). Quelle chance, ça donne vraiment envie! (^_^) I actually stayed at the same youth hostel when I went to Miyajima for the first time in 2006. I think the little island is absolutely gorgeous and the pictures I took there are still among my favorites. That look gorgeous! So lucky!